Hu Yaobang (20 November 1915 – 15 April 1989) was a high-ranking official of the People's Republic of China. He held the top office of the Communist Party of China from 1981 to 1987, first as Chairman from 1981 to 1982, then as General Secretary from 1982 to 1987. Hu joined the Chinese Communist Party in the 1930s, and rose to prominence as a comrade of Deng Xiaoping in the 1970s. During the Cultural Revolution (1966–1976), Hu was purged, recalled, and purged again by Mao Zedong. The General Secretary of the Central Committee of the Communist Party of China is head of the Communist Party of China and the highest-ranking official within the People's Republic of China. The General Secretary is a standing member of the Politburo and head of the Secretariat. The officeholder is usually considered the "paramount leader" of China. After Deng rose to power, following the death of Mao Zedong, Hu was promoted to a series of high political positions. Throughout the 1980s Hu pursued a series of economic and political reforms under the direction of Deng. Hu's political and economic reforms made him the enemy of several powerful Party elders, who opposed free market reforms and attempts to make China's government more transparent. When widespread student protests occurred across China in 1987, Hu's political opponents successfully blamed Hu for the disruptions, claiming that Hu's "laxness" and "bourgeois liberalization" had either led to, or worsened, the protests. Hu was forced to resign as Party general secretary in 1987, but was allowed to retain a seat in the Politburo. The Eight Great Eminent Officials, abbreviated as the Eight Elders, were a group of elderly members of the Communist Party of China who held substantial power during the 1980s and 1990s. In the English-speaking world, these men are often called The Eight Immortals as an allusion to the Taoist deities commonly known as the Eight Immortals. Student demonstrations took place in a number of Chinese cities from December 1986 until mid-January 1987. The demonstrations started in the city of Hefei before spreading to other cities such as Shanghai and Nanjing. The movement was heavily influenced by the Chinese intellectuals Fang Lizhi and Wang Ruowang, who were critical of the Chinese government’s lack of political reforms. The demonstrations quickly dissipated by mid-January before achieving any of its stated goals. The lack of response from Hu Yaobang, who was General Secretary of the Communist Party of China at the time, would result in his removal from power on January 15, 1987 and his replacement by Zhao Ziyang. Hu's position as Party general secretary was taken by Zhao Ziyang, who continued many of Hu's economic and political reforms. A day after Hu's death, in 1989, a small-scale demonstration commemorated him and demanded that the government reassess his legacy. A week later, the day before Hu's funeral, some 100,000 students marched on Tiananmen Square, leading to the Tiananmen Square protests of 1989. This was a part of the Chinese Democracy Movement. Following the government's violent suppression of the 1989 protests, the Chinese government censored the details of Hu's life within mainland China, but it officially rehabilitated his image and lifted its censorship restrictions on the 90th anniversary of Hu's birth, in 2005. Zhao Ziyang was a high-ranking statesman in China. He was the third Premier of the People's Republic of China from 1980 to 1987, Vice Chairman of the Communist Party of China from 1981 to 1982, and General Secretary of the Communist Party of China from 1987 to 1989. He lost power in connection with the reformative neoauthoritarianism current and his support of the Tiananmen Square protests of 1989. Hu Yaobang's ancestors were Hakkas   from Jiangxi. During the Ming dynasty (1368–1644) they migrated into Hunan, where Hu was born. Hu Yaobang was born into a poor peasant family, and received little formal education. As a child he never attended school, and he taught himself to read. 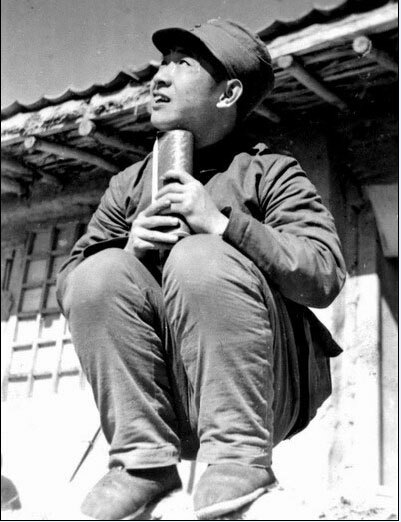 Hu participated in his first rebellion when he was twelve, left his family to join the Chinese Communist Party when he was only fourteen,  and became a full member of the Party in 1933. During the factional struggles that polarized the CCP during the 1930s, Hu supported Mao Zedong and opposed the 28 Bolsheviks. Jiangxi is a province in the People's Republic of China, located in the southeast of the country. Spanning from the banks of the Yangtze river in the north into hillier areas in the south and east, it shares a border with Anhui to the north, Zhejiang to the northeast, Fujian to the east, Guangdong to the south, Hunan to the west, and Hubei to the northwest. Hunan is a province of the People's Republic of China, located in the middle reaches of the Yangtze watershed in South Central China; it borders the province-level divisions of Hubei to the north, Jiangxi to the east, Guangdong and Guangxi to the south, Guizhou to the west, and Chongqing to the northwest. With a population of just over 67 million as of 2014 residing in an area of approximately 210,000 km2 (81,000 sq mi), it is China's 7th most populous and the 10th most extensive province-level by area. The Long March was a military retreat undertaken by the Red Army of the Communist Party of China, the forerunner of the People's Liberation Army, to evade the pursuit of the Kuomintang army. There was not one Long March, but a series of marches, as various Communist armies in the south escaped to the north and west. The best known is the march from Jiangxi province which began in October 1934. The First Front Army of the Chinese Soviet Republic, led by an inexperienced military commission, was on the brink of annihilation by Generalissimo Chiang Kai-shek's troops in their stronghold in Jiangxi province. The Communists, under the eventual command of Mao Zedong and Zhou Enlai, escaped in a circling retreat to the west and north, which reportedly traversed over 9,000 kilometers over 370 days. The route passed through some of the most difficult terrain of western China by traveling west, then north, to Shaanxi. Tan Yubao was a Chinese communist. He was born in Chaling County, Zhuzhou, Hunan Province. He was chairman of the communist base (Soviet) on the border of Hunan and Jiangxi Provinces. He once intervened to save the life of Hu Yaobang. He was a delegate to the 3rd National People's Congress. Mount Lu or Lushan, also known as Kuanglu (匡庐) in ancient times, is situated in the northern part of Jiangxi province in Central China, and is one of the most renowned mountains in the country. It is located primarily in Lushan county-level city in Jiujiang Prefecture, although the northern portions are found in Lianxi District which was formerly known as Lushan District and until 2016 covered the majority of the Mount Lu. The oval-shaped mountains are about 25 km long and 10 km wide, and neighbors Jiujiang city and the Yangtze River to the north, Nanchang city to the south, and Poyang Lake to the east. Its highest point is Dahanyang Peak (大汉阳峰), reaching 1,474 m above sea level, and is one of the hundreds of steep peaks that towers above a sea of clouds that encompass the mountains for almost 200 days out of the year. Mount Lu is known for its grandeur, steepness, and beauty, and is part of Lushan National Park, a UNESCO World Heritage Site since 1996, and a prominent tourist attraction, especially during the summer months when the weather is cooler. Zunyi is a prefecture-level city in northern Guizhou province, People's Republic of China, situated between the provincial capital Guiyang to the south and Chongqing to the north, also bordering Sichuan to the northwest. Along with Guiyang and Liupanshui, it is one of the most important cities of the province. The built-up area made of three urban districts of the city, Huichuan, Honghuagang, and Bozhou, had a population of 1,095,189 people; and the whole prefecture, including 14 county-level administration area as a whole, has a population of 6,127,009 at the 2010 census. The Zunyi Conference was a meeting of the Communist Party of China (CPC) in January 1935 during the Long March. This meeting involved a power struggle between the leadership of Bo Gu and Otto Braun and the opposition led by Mao Zedong. The result was that Mao left the meeting in position to take over military command and become the leader of the Communist Party. The conference was completely unacknowledged until the 1950s and still no detailed descriptions were available until the fiftieth anniversary in 1985. In 1949, the CCP successfully defeated Nationalist forces on mainland China, and the communists founded the People's Republic. In 1952, Hu accompanied Deng to Beijing, and Hu became the leader of the Communist Youth League from 1952–1966. Hu rose rapidly up the Communist Party hierarchy, until Mao sent Hu to work as First Party Secretary of Shaanxi in 1964, saying: "He needs some practical training". Hu may have been assigned to work outside of Beijing because he was judged as being not sufficiently enthusiastic about Maoism. Unlike many of his colleagues, Hu was able to keep his membership within the Party Central Committee until the 9th Party Congress in April 1969. On April 22 1989, 50,000 students marched to Tiananmen Square to participate in Hu's memorial service, and to deliver a letter of petition to Premier Li Peng. Many people were dissatisfied with the party's slow response and relatively subdued funerary arrangements. Public mourning began on the streets of Beijing and elsewhere. In Beijing this was centred on the Monument to the People's Heroes in Tiananmen Square. The mourning became a public conduit for anger against perceived nepotism in the government, the unfair dismissal and early death of Hu, and the behind-the-scenes role of the "old men", officially retired leaders who nevertheless maintained quasi-legal power, such as Deng Xiaoping. The protests eventually escalated into the Tiananmen Square protests of 1989. Hu's promotion of the ideas on freedom of speech and freedom of press greatly influenced the students participating in the protests. The Tiananmen Square protests of 1989 eventually ended in the violent suppression of protesters on 4 June 1989, in which hundreds of civilians were killed. Because the protests had been sparked by the death of Hu Yaobang, the government determined that any public discussion of Hu and his legacy could destabilize China by renewing debate about the political reforms that Hu supported. Because of the public association with Hu and the "Tiananmen Massacre", Hu Yaobang's name became taboo on the mainland, and the Chinese government censored any mention of him in the media. In one example of government censorship, printed media which commemorated the anniversary of his death in 1994 were withdrawn from publication. The official three-volume biography and a collection of Hu's writings were slated for release in China. The project was originally begun by a group of Hu's former aides, led by Zhang Liqun (who died in 2003). After the government learned of the project, it insisted on taking control of it. One of the main issues that government censors identified was the concern that details of Hu's relationship with Deng Xiaoping (especially details of Hu's removal from power after resisting orders to crack down on student demonstrators in 1987) would reflect poorly on Deng's legacy. The authors of Hu's biography subsequently rejected offers from the government to released a censored version. Only one volume (dealing with events up to the end of the Cultural Revolution) of the biography written by Hu's former aides was eventually published, with the other two volumes held by the government and remaining unpublished. Although magazines publishing commemorative articles were initially stopped from being released, the ban was lifted in 2005 and these magazines were publicly issued. Yanhuang Chunqiu , a reform-minded magazine, was allowed to publish a series of articles in 2005 commemorating the birthday of Hu Yaobang, but the government acted to limit the availability of the magazine. The issue commemorating Hu sold 50,000 copies, but the remaining 5,000 copies were destroyed by propaganda officials. This was the first time since his death that Hu's name appeared publicly. On 20 November 2015, the 100th Anniversary of the birth of Hu Yaobang, Communist Party General Secretary Xi Jinping held a high profile commemoration ceremony for Hu Yaobang in Beijing. In contrast to the event held by the previous leadership ten years earlier, the 100th anniversary event was deliberately high-profile and attended by all members of the Politburo Standing Committee. Xi lavished Hu with praise for his accomplishments, and said that Hu "dedicated his life to the party and to the people. His led a glorious life, a life of struggle... his contributions will shine in history." Hu appeared as a character in the 2015 historical drama Deng Xiaoping at History's Crossroads . 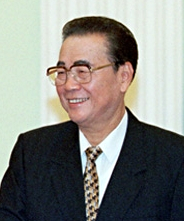 Li Peng is a retired Chinese politician. Li served as the fourth Premier of the People's Republic of China from 1987 to 1998 and the Chairman of the Standing Committee of the National People's Congress, China's top legislative body, from 1998 to 2003. For much of the 1990s Li was ranked second in the Communist Party of China (CPC) hierarchy behind then Party General Secretary Jiang Zemin. He retained his seat on the CPC Politburo Standing Committee until 2002. The Premier of the State Council of the People's Republic of China, sometimes also referred to informally as the "Prime Minister", is the Leader of the State Council of China, who is the head of government and holds the highest rank in the Civil Service. 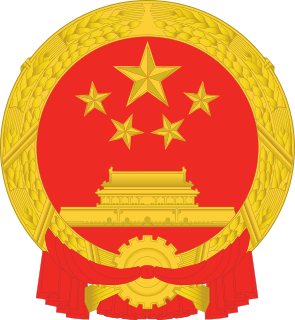 This position was originally known as Premier of the Government Administration Council of the Central People's Government from 1949, but changed to its current name in 1954. Yang Shangkun was President of the People's Republic of China from 1988 to 1993, and was a powerful Vice Chairman and Secretary-General of the Central Military Commission under Deng Xiaoping. He married Li Bozhao in 1929, one of the few women to participate in the Long March, as did Yang. 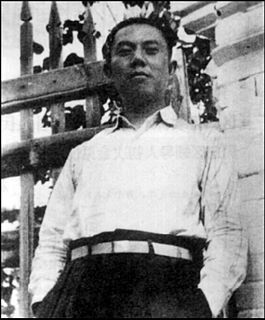 Wan Li was a Chinese Communist revolutionary and politician. During a long administrative career in the People's Republic of China, he served successively as Vice Premier, Chairman of the Standing Committee of the National People's Congress (NPC), and a member of the Communist Party of China (CPC) Secretariat and its Politburo. Hu Qili is a former high-ranking politician of the Communist Party of China (CPC). He was a member of the Politburo Standing Committee and a member of the Secretariat between 1987 and 1989. In 1989, he was purged because of his sympathy toward the students of the 1989 Tiananmen Square protests and his support for General Secretary Zhao Ziyang. However, he was able to get back into politics in 1991. 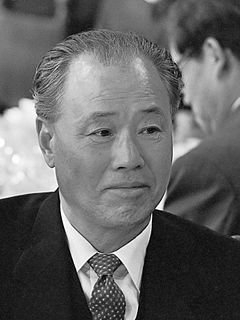 In 2001, he was named chairman of the Soong Ching-ling Foundation. 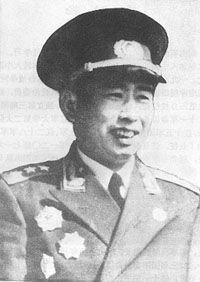 Song Renqiong, born Song Yunqin, was a general in the People's Liberation Army of the People's Republic of China (PRC) and one of the Eight Elders of the Communist Party of China. Chen Xitong was a member of the Politburo of the Communist Party of China and the Mayor of Beijing until he was removed from office on charges of corruption in 1995. Wang Zhaoguo is a retired Chinese politician who came to prominence during the era of Deng Xiaoping. An automobile factory technician by trade, Wang had a long and varied political career, known for having acquired a ministerial-level position at the age of 41. He successively served as the First Secretary of the Communist Youth League, the chief of the party's General Office, Secretary of the Central Secretariat, Governor of Fujian, Head of the United Front Work Department and Vice-Chairman of the CPPCC. 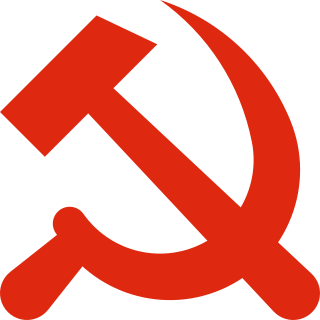 The 13th Central Committee of the Communist Party of China was in session from 1987 to 1992. It held seven plenary sessions. It was preceded by the 12th Central Committee. It was securely succeeded by the 14th Central Committee. Qin Jiwei was a general of the People's Republic of China, Minister of National Defense and a member of the Chinese Communist Party Politburo. The Critical Moment – Li Peng Diaries is a book issued in 2010 in the United States by West Point Publishing House, a small publisher established by Zheng Cunzhu, a former 1989 pro-democracy activist. The book contains entries from a diary believed to be written by the former Chinese Premier, Li Peng, covering the events leading up to and shortly after the Tiananmen Square protests of 1989. 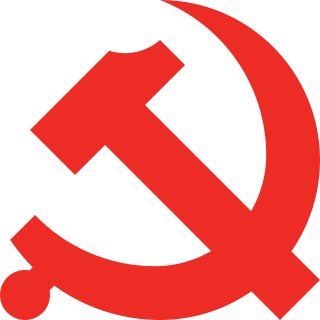 The Beijing Workers' Autonomous Federation (BWAF), or Beijing Workers’ Autonomous Union was the primary Chinese workers' organization calling for political change during the Tiananmen Square protests of 1989. The group was formed in the wake of mourning activities for former General Secretary Hu Yaobang in April 1989. The BWAF denounced political corruption, presenting itself as an independent union capable of "supervising the Communist Party," unlike the Party-controlled All-China Federation of Trade Unions (ACFTU). Yan Mingfu is a retired Chinese politician. His first prominent role in government began in 1985, when he was made leader of the United Front Work Department for the Chinese Communist Party (CCP). He held the position until the CCP expelled him for inadequately following the party line in his dialogues with students during the 1989 Tiananmen Square protests. Yan returned to government work in 1991 when he became a vice minister of Civil Affairs. Deng Liqun was a Chinese politician and theorist who was one of the leading figures of the Communist Party of China during the 1980s, most well known for his involvement with the party's propaganda work. Deng was born in Guidong County, Hunan province, and joined the Communist Party in 1936. He came from an intellectual family and joined the party out of intellectual commitment. He was often referred to as "Little Deng", to be distinguished from Deng Xiaoping, the "Old Deng". The Tiananmen Square protests of 1989 were a turning point for many Chinese officials, who were subjected to a purge that started after June 4, 1989. The purge covered top-level government figures down to local officials, and included General Secretary Zhao Ziyang and his associates. The purge took the form of a massive ideological campaign that lasted 18 months. At least 4 million party members were under some sort of investigation. The government stated that the purge was undertaken for the purpose of “resolutely getting rid of hostile elements, antiparty elements, and corrupt elements" as well as "dealing strictly with those inside the party serious tendencies toward bourgeois liberalization” and purify the party. 1 2 3 4 5 6 7 Encyclopædia Britannica. ↑ 习近平纪念胡耀邦诞辰100周年讲话（全文）. Duowei (in Chinese). 20 November 2015. "China Braces for Tiananmen Square Massacre Anniversary". The Australian. 13 April 2009. Becker, Jasper. "Zhao Ziyang: Chinese Leader Who 'Came too Late' to Tiananmen Square". The Independent. 18 January 2005. Retrieved 20 October 2011. 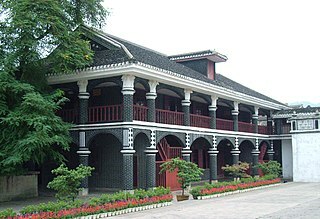 "Hu Yaobang". Encyclopædia Britannica Online. 2011. Retrieved 21 October 2011. Fan, Maureen. "In China, Media Make Small Strides". Washington Post. 28 December 2008. Retrieved 23 October 2011. Forney, Matthew. "Speed Read: Hu Yaobang", TIME Magazine . 20 November 2005. Retrieved 23 October 2011. Gladney, Dru C. Dislocating China: Muslims, Minorities, and Other Subaltern Subjects. Chicago: Chicago University Press. 2004. ISBN 0-226-29776-4. Kristof, Nicholas D. "Hu Yaobang, Ex-Party Chief in China, Dies at 73" (Obituary), New York Times , 16 April 1989. Retrieved 23 October 2011. Lee, Khoon Choy. Pioneers of Modern China: Understanding the Inscrutable Chinese. Singapore: World Scientific Publishing. 2005. ISBN 981-256-464-0. MacFarquhar, Roderick. "Foreword". In Zhao Ziyang, Prisoner of the State: The Secret Journal of Premier Zhao Ziyang . New York, NY: Simon and Schuster. 2009. ISBN 1-4391-4938-0. Pan, Philip P. "China Plans to Honor a Reformer". Washington Post. 9 September 2005. Retrieved 22 October 2011. "Glorious Life of Hu Yaobang Marked". People's Daily . 19 November 2005. Retrieved 22 October 2011. Vogel, Ezra F. Deng Xiaoping and the Transformation of China. Cambridge, MA: The Belknap Press of Harvard University Press. 26 September 2011. Wen Jiabao. "Recalling Hu Yaobang When I Return to Xingyi". [Chinese: 再回兴义忆耀邦]. People's Daily. 15 April 2010. Retrieved 23 October 2011. Wu Zhong. "Hu, Wen, and Why". Asia Times Online. 21 April 2010. Retrieved 26 October 2011. "Birth Anniversary Marked for Late Leader Hu Yaobang". Xinhua . 18 November 2005. Retrieved 23 October 2011. Wen Jiabao. "Premier Wen Jiabao's article on Hu Yaobang's Visit to Tibet".People's Daily. 15 April 2010.